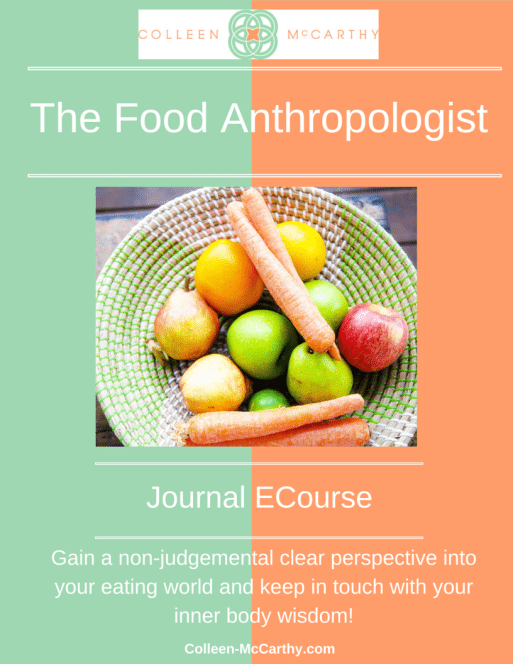 Check your email for a personalized detailed report of your results… If you can’t wait to download and get started with your Food Anthropologist ECourse– then read on my friend… it’s all here for you! Don’t forget to check your email for a personalized detailed report! It is definitely possible to feel better! Find out exactly what role is food playing in your Health and Wellbeing? As a Food Anthropologist, you are a neutral observer that can give a distant perspective into your eating world. Helps to keep you in touch with you inner signals, helps you learn to trust and cultivate connection with your inner body wisdom BOTH biologically and psychologically. Be a fly on the wall of your own eating habits. Take a step back and notice the role that food is playing in the way you feel, the way you move, the way you live, etc….. If you are feeling like you just want answers, let’s chat and have a discovery session and get clear on what you need to do to create better health and a eating habits. When I say eating habits, I literally mean tapping into your intuition and using THAT as a guide to fuel your body. All too often we are so concerned with what the outside world says we “should eat” that we often completely ignore our cravings, food likes and dislikes- which by the way takes the pleasure completely out of eating and you become all OCD about feeding yourself, then you can’t lose weight, etc…. you become so disconnected that it’s hard to get back to being connected and listening and moving from your gut….. I can help with that, I WANT you to reconnect with your inner body wisdom. So, click this link here, fill out the application for the discovery session and let’s get rocking!